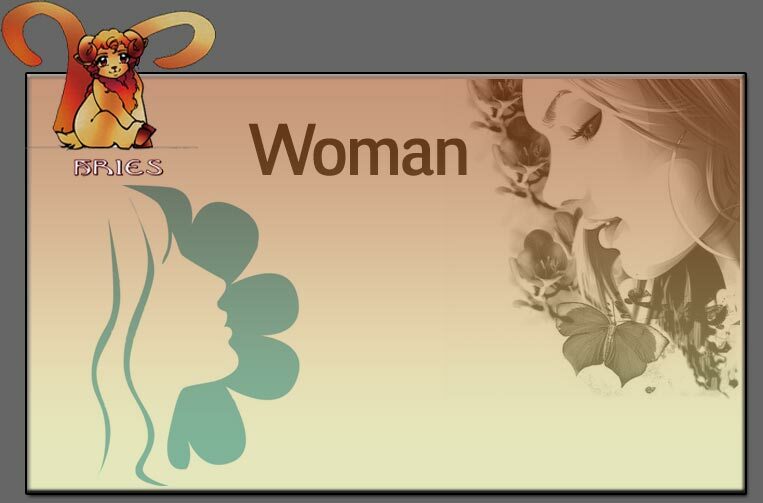 Aries woman are very independent and they make their own path to find their way. Being very ambitious and optimistic in life they work their best fully motivated, to get what they want. They will never stop the drive till they reach the destination. Though bold and impulsive in nature, it might also lead to short temperedness most of the time, which is a drawback for the Aries woman. They decide on things very fast and never let others comment on their view and work according to their decisions. Thus always seek for individualism. They create heaven at home. They are highly energetic and inspiring. They can never keep up secrets inspire of being considered loyal. They are quite open and frank in approach in their life which grades her both in positive and negative aspects. They are very much oriented towards their desire and cater to their own needs, failing to think from others point of view. They are in making a leader. Thus most of the time they are not capable of major flaws. When it is required they are always present for you in overcoming your difficulties. Aries women can be defined as simple and guileless showing an excessively trusting view of the world and human nature.